ApolloBravo developed and launched this integrated mobile, social, and digital lead generation campaign. 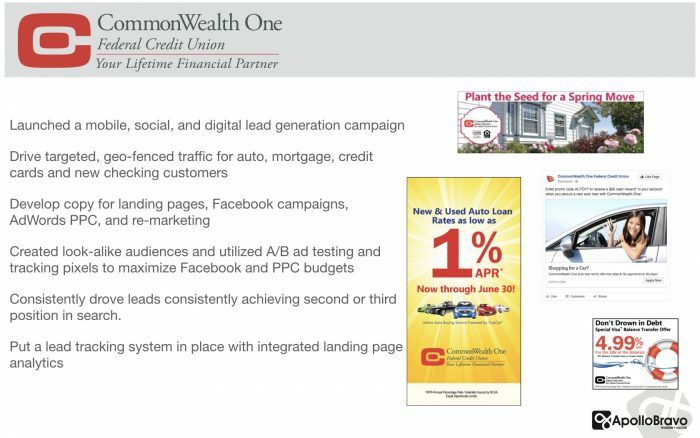 We utilize Google Adwords, Facebook, mobile promotion, SMS, and re-marketing to drive leads and new customers for this leading federal credit union. We regularly drive leads and consistently achieve the second or third position in search.